Do You Suffer From Sleep Apnea? Sleep Apnea is a sleep disorder characterized by frequent pauses in breathing during sleep that last from a few seconds to a minute. 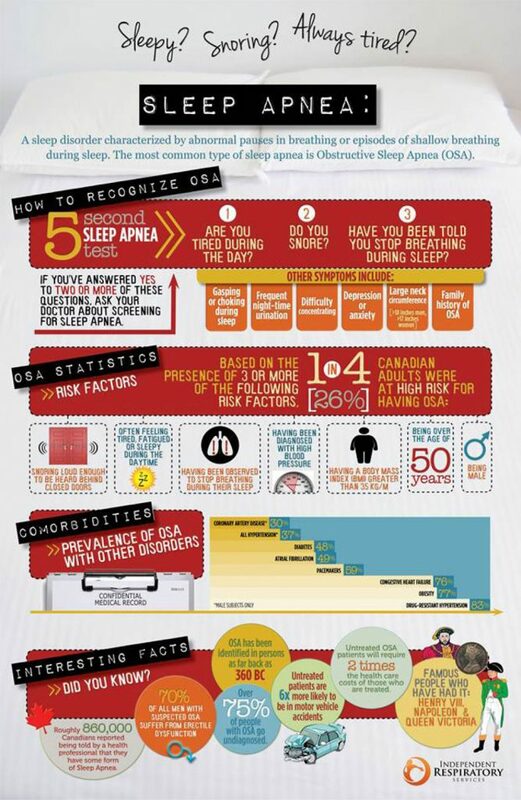 Sleep Apnea can pose serious health risks and negatively impact quality of life. 75% of those with severe sleep disordered breathing go undiagnosed. If you feel that you may be suffering from some form of Sleep Apnea, click the button below to take our 30 Second Sleep Apnea test. IRS offers Obstructive Sleep Apnea (OSA) screening as a next-day service, whereas conventional methods can take several weeks. We explain OSA to our patients, outline signs and symptoms in our questionnaire, use the Overnight Oximetry Test to establish a baseline and indication of severity, and use the Epworth Sleepiness Scale Test. The results of the tests are reviewed with the patient and a detailed report is sent to the referring physician in a timely manner. With a physician’s signed referral, a trial of CPAP therapy is initiated. Click the button below to download our Printable Doctor Referral form. During normal breathing, the throat is clear and open, letting air flow freely to and from the lungs. 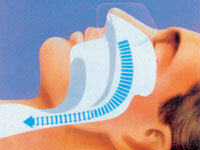 While a person with OSA sleeps, tissues at the back of the throat collapse and block the flow of air. Positive pressure therapy can keep the airway open so that air flows freely to and from the lungs. 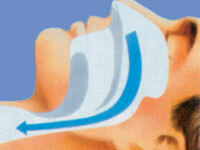 Obstructive Sleep Apnea (OSA) is the most common form of sleep apnea. 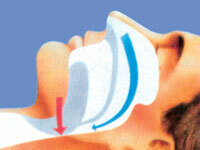 It occurs when tissues in the throat collapse and block the flow of air in and out of the lungs during sleep. there is no airflow despite efforts to breathe. People with OSA struggle to breathe again and again, making restful sleep impossible. This results from the brain not signalling the body to breathe. There is no airflow because there is no effort to breathe. Sleep may also be disrupted by CSA. This is a combination of central sleep apnea (CSA) and obstructive sleep apnea (OSA). The most common treatment is CPAP (Continuous Positive Airway Pressure) Therapy, pronounced “see-PAP”. Other less common treatments include surgery and oral appliances which may be effective in certain individuals. Any treatments should include weight loss if needed, exercise, and avoidance of alcohol, sedatives, and hypnotics.